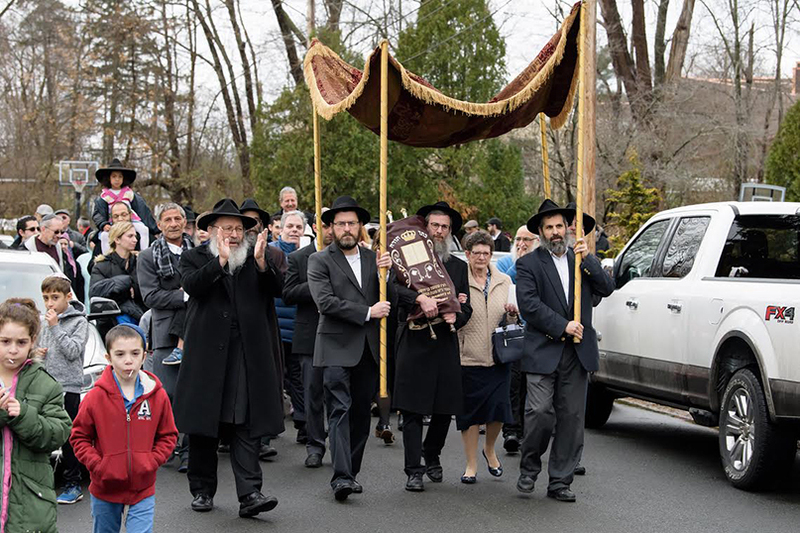 Binyomin Meyer carried the Torah to its new home at Chabad House. 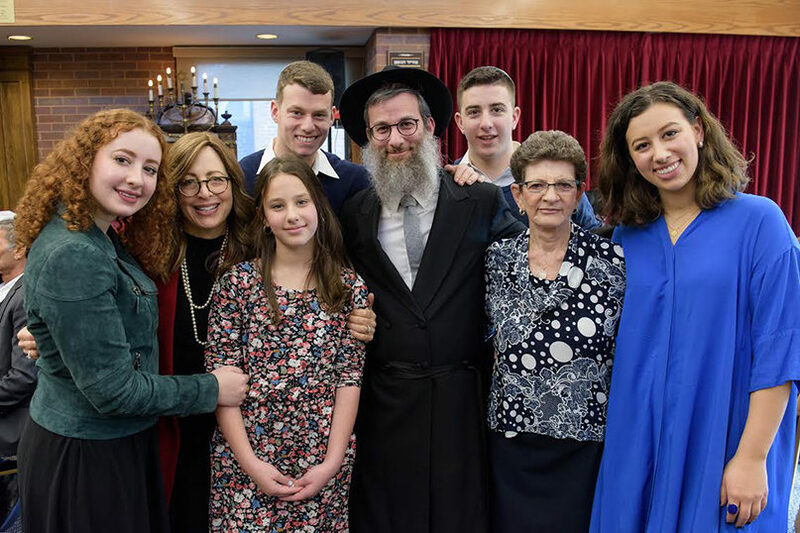 Jean Meyer described it as “a day filled with joy,” as she and her family were joined by a host of friends on Sunday, Nov. 25 to welcome to Chabad House of Greater Hartford a Torah scroll dedicated in memory of her husband, Sheldon Meyer z”l. 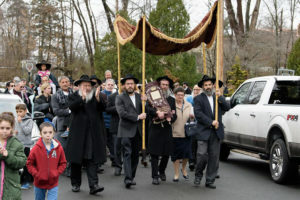 The celebrants – including Chabad’s spiritual leader, Rabbi Joseph Gopin – met at the West Hartford home of Meyer’s son and daughter-in-law, Binyomin and Nancy Meyer, then danced and sang as they jubilantly paraded the Torah scroll to its new home just a few blocks away. Binyomin Meyer, who had carried the scroll through the streets, shielded by a chupah, then placed the Torah in the synagogue’s ark. A festive meal, plus dancing and singing, prayer and speeches, followed. According to Jean Meyer, it was the first Torah dedication at the West Hartford Chabad in more than 25 years. CAP: The Meyer family at the dedication of the Chabad House Torah in memory of their father and grandfather, Sheldon Meyer: Jean Meyer (2nd from right) is joined by her son and daughter-in-law Binyomin and Nancy Meyer (center and 2nd from left), and their children ) (l to r) Zelda, Chana, Yosef, Yehuda and Michal.